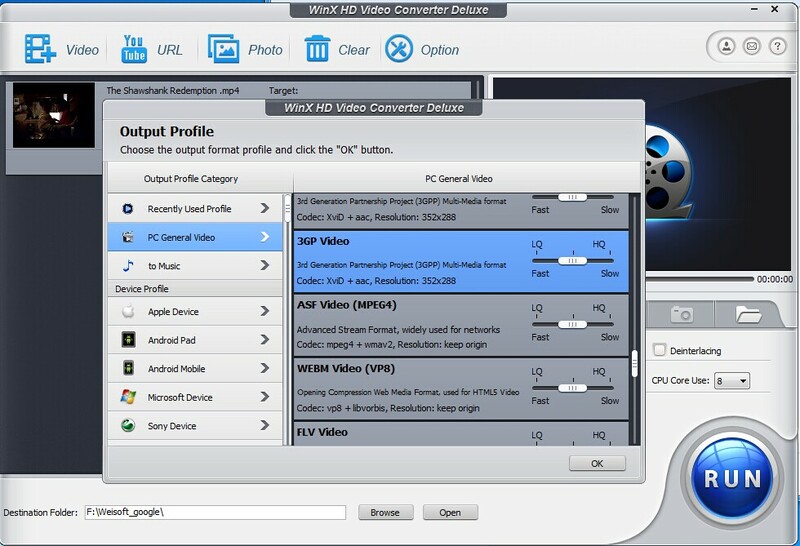 Summary: Weisoft Limited releases details of their video converter software functions. To celebrate the new version release, Wei-soft.com hold a promotion 40% off for the new version. Press Release: Weisoft Limited, the popular graphic and multimedia enterprise, has released particulars of the company’s HD Video Converter Deluxe, regarded as the best video converter software ever by experts. The software is a must-have for those who want their MOV,MKV, M2TS, AVCHD, AVI, MP4, and YouTube videos fully organized. Videos can be converted from any to any format, for example, MP4 to AVI, WMV to H264, MKV to MP4, and lots more. The HD Video Converter Deluxe can be run on various HD video formats. Users can convert video any to any between multi-form HD formats, such as H.264/ MPEG-4 AVC, Apple TV h.264 720P, AVCHD Video, HD WMV, MKV, and MPEG2/ MPEG-4 TS HD Video. It also allows users to convert videos from HD to SD too. You can easily change your video format and let them to show on any of you devices, such as iphone, ipad,ipad mini, android, windows phone etc. Speed is a key feature of the converter, as it can convert videos instantly using multi-core CPU processing. Conversion speed can even be customized by presetting the number of cores to be converted. This easy-to-use and highly efficient software can be used for conversion of diverse video formats, audio formats, or even for extracting audio from a video. All it takes is a few clicks to complete the conversion, according to the company official. The video converter is offered to customers with an additional facet that can be used to construct slideshow from any JPG/ PNG/ BMP photos images instantly. The photo slideshow feature makes it possible for users to share moving slideshow with friends via email. They can even share it on the web. The presentation can be made more attractive and impactful by adding background music and converting it to AVI, MP4, MKV, FLV, and others. The company ships the software with advanced video editing features for trimming and cropping the video or merging multiple videos to create a new one. Users can do lots more like adding inner subtitle tracks or outer SRT subtitle files to videos before conversion. The pioneering video software makes it possible to download YouTube videos and videos from other online portals and convert them to AVI, MPEG, WMV, MOV, or 3GP for offline playback, more editing, or simply for DVD creation. The advanced Video Download Engine completes downloading of music video from YouTube in as little as 30 seconds. You can use the software to combine several videos into one. Use the software ,you can easily combine the top 100 youtube video into one , top 10 2014 Fifa world cup goals video into one or top 10 classic movie songs into one etc.